Condo owners have unique insurance needs. Although your association may have a policy covering your building, your individual unit has separate needs. Condo insurance covers your personal property and personal liability – your association’s coverage will not do that for you. Along with competitive rates from one of our many companies, you can also get an array of money-saving discounts for factors like your claim history and your home’s security features – items like: smoke detectors, dead bolts, fire extinguishers and alarm systems. Plus, when you let us quote your other policies, like auto or umbrella coverage, you could save up to 15% on your condo insurance. Get the protection you need at a price you can afford. 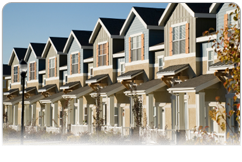 Call or request a quote for Condos Insurance from Standard Insurance Agency today. Don’t forget your condo policy could also save you money on your auto policy.